We thought a bit of background would not go amiss for those who weren't aware of this bit of history. 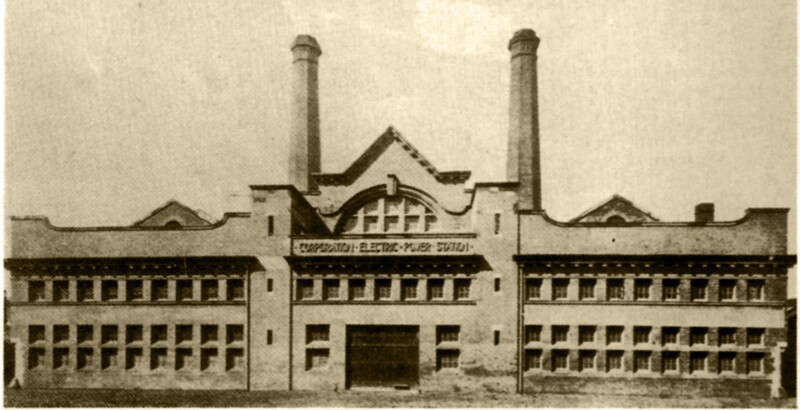 Pumpfields in the early days as "Corporation Electric Power Station". 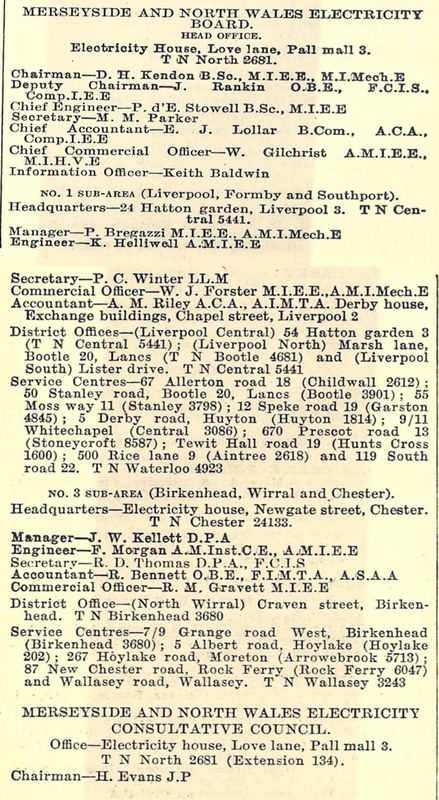 In 1882 Messrs. Holmes and Vaudrey commenced business in Liverpool as Civil Engineers, and in 1883 formed the Liverpool Electric Supply Company Limited, with a nominal capital of £10,000. The company made an immediate success, paying 5% dividend on the first years trading. The Corporation of Liverpool purchased the Undertaking of the Liverpool Electric Supply Company in 1896 and also the undertaking of the Liverpool United Tramways and Omnibus Company in 1897. 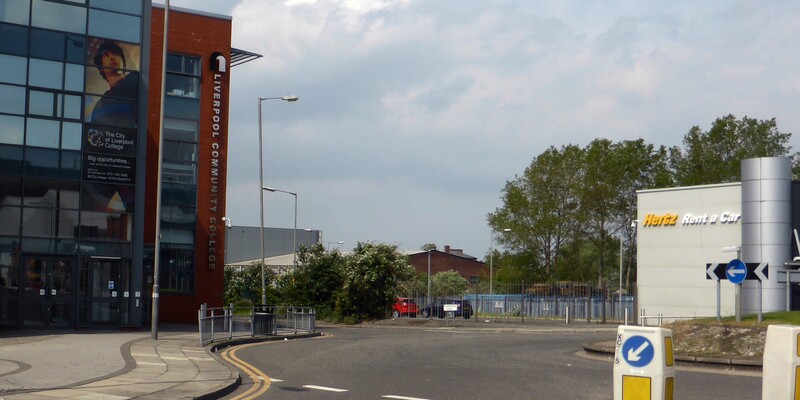 As demand increased, it was necessary for the Corporation to build two larger power stations; these were located at Pumpfields and Lister Drive, (which is now the Liverpool District Office of MANWEB). By 1919 all of the smaller and older power stations had been closed down, while Lister Drive had been expanded and was now generating 37 M watts. In 1923 another 50 M watts capacity was added at Lister Drive. By this time the price per unit had dropped to 2d. (lp). At about the same time a Committee, with Lord Wier as chairman, was set up to consider the future of the generation of electricity from a national point of view. This led to the Electricity (Supply) Act of 1926. The Act's main result was the setting up of the Central Electricity Board who controlled all generation, and confined it to the most economical power stations. The interests of the Local Authorities were carefully watched by a joint committee of the Association of Municipal Corporations and the I.M.E.A. (Incorporated Municipal Electrical Association). The industry was nationalised in 1947 and the 564 undertakings then producing electricity in England, Wales and Southern Scotland, two thirds of which were Local. Authority undertakings, were brought under public ownership. The enabling Act of 1947 created a two tier organisational structure for the industry with the British Electricity Authority forming the central body and having responsibility for organising and pooling generating capacity and inter-area electricity exchanges through the grid system, the latter being reinforced to allow this. Retail distribution was organised by Electricity Boards, of which there were twelve in England and Wales, and two in the South of Scotland. And so MANWEB was born. 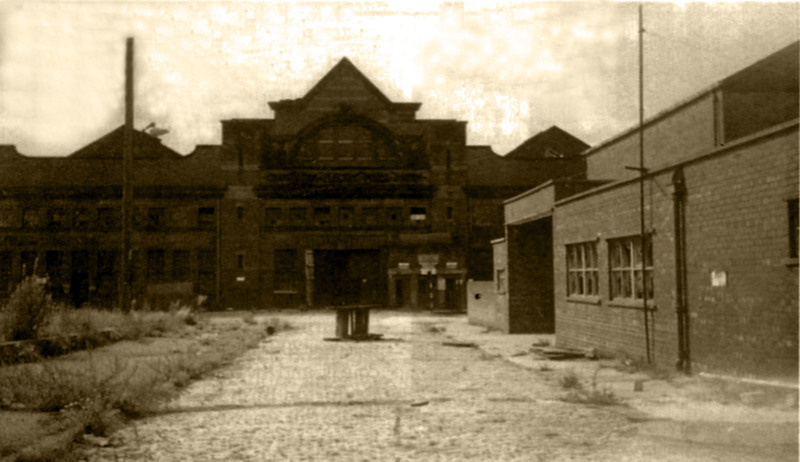 Pumpfields depot off Vauxhall Road was the main Manweb depot serving the Liverpool city centre and was close to a number of other Manweb offices. At 24 Hatton Garden was located number 1 Sub Area Office and Central District Office. Nearby a large car park for staff was at the corner of Tithebarn Street and Vauxhall Road (Chapel Court). 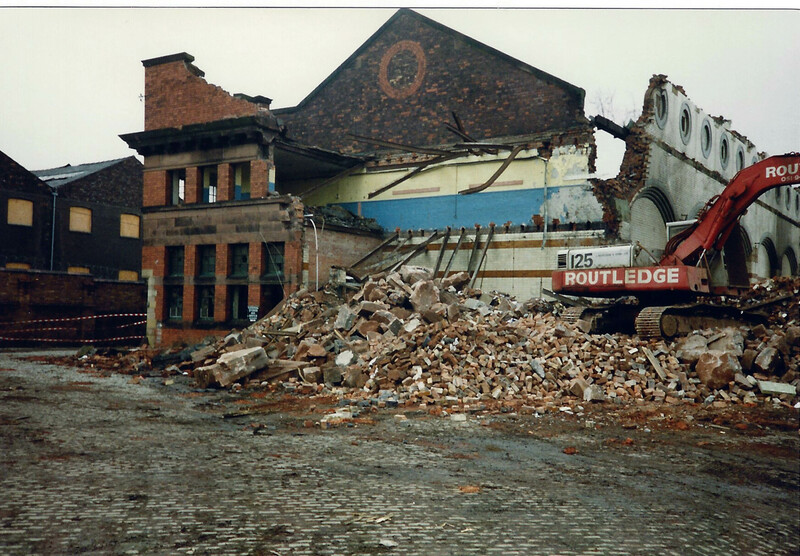 This was an area cleared after the F Wilkinson glass, oil and paint warehouse had been bomb damaged. It is now the site of the original Lambanana which is outside a section of John Moore University. 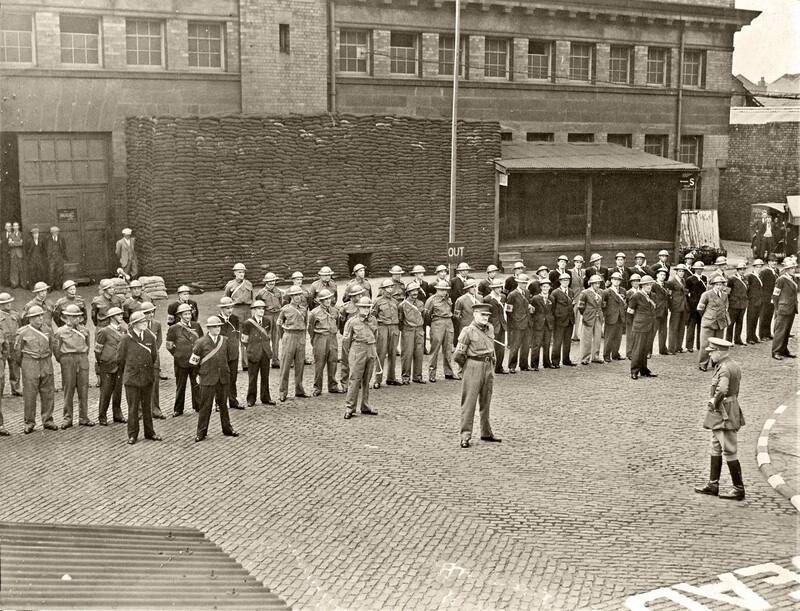 (see link to photo above) In Derby House Chapel Street now The Western Approaches - Liverpool War Museum a number of floors were occupied by clerical staff, meter records and billing. Another large office area, indeed the Head office, known as Electricity House was in Love Lane using half of the Melias Buildings. 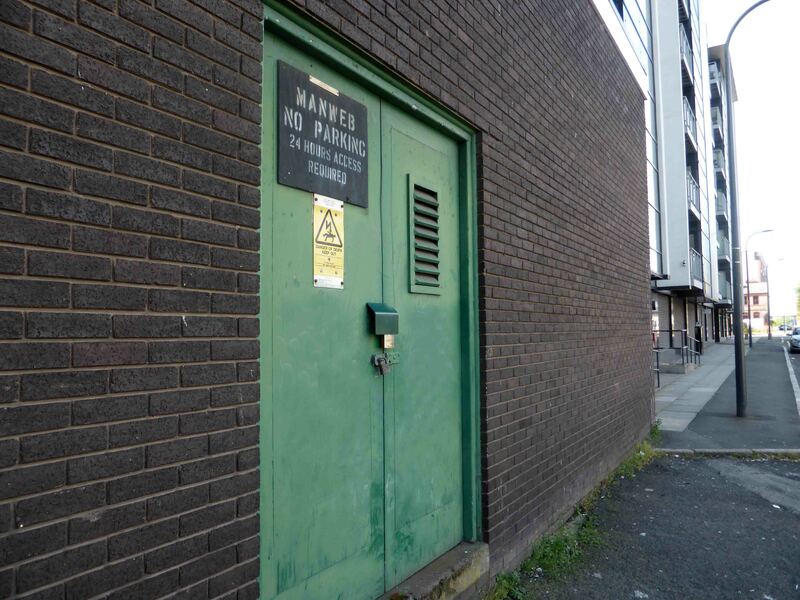 It was used as Manweb Head Office until the New Head Office in Chester was opened, the Love Lane site was hidden amongst many other buildings being mainly Tate and Lyle structures. On the photo, shown below, to the front left is the tip of the corrugated roofed canteen and across the road from here was the wages office and a set of time clocks. The building section had the area behind this for the joiners and other civil trades' workshop and material storage. The main building housed, on the first floor with access on the left end as we are looking, the contracting department, and also a door to fitting foreman’s office. The large doors to left of sandbags were access to a storage area for HV equipment ready for distributing to various sites or in some cases recovered plant. Moving gantry cranes operated in the building to aid loading vehicles used to transport from manufactures or Queensferry Stores. At the centre of this very large building were a number of 33 / 6.6KV transformers and associated switchgear to distribute power to surrounding areas. Also in this in same building was located a number of material stores for contracting and fitting departments. 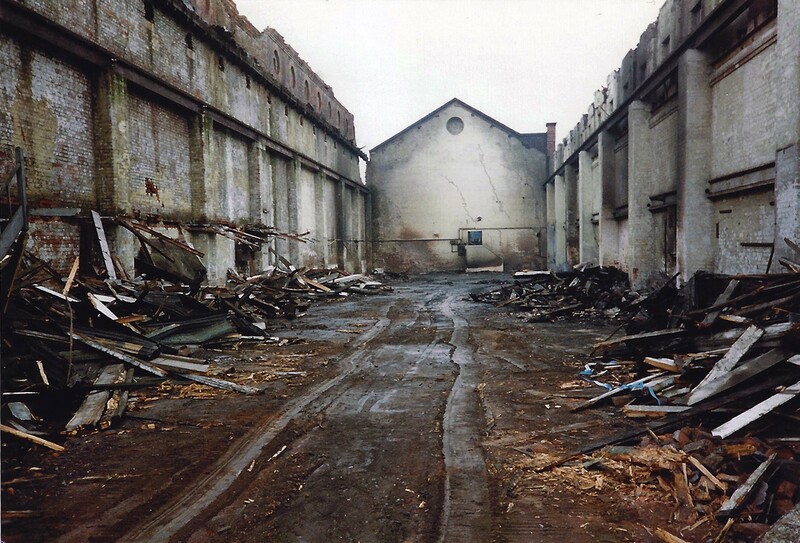 At the end of the building was an area used for loading lorries stores and staff, also in these early days hand carts took teams into the local district for work on the system. A blacksmiths workshop was located in one corner of the yard and it was possible to walk through this onto the banks of Leeds Liverpool Canal which formed the bottom boundary to the site. This in earlier times had been the means of delivering coal to the former generating station. On the photo to the right hand side was the battery work shop and carboys can be seen outside ready for use or return to manufactures. Jimmy Walsh was the battery man I remember. At this corner can be noted a van ready to leave the depot. There was also a vast network of tunnels mainly used for cable distribution. One passed under the rear of the site under the canal and was accessible from Pall Mall. Another was accessed under the fitting workshop with the tunnel emerging in Vauxhall Road near the gate house. (two of our section were tasked with renewing the lighting in this tunnel that was a little damp and smelly.) Just outside the gate house was a public urinal but most of the smell emanated from the adjacent tannery and offal yards. There was a gate house between two sets of gates for access and egress. This whole site was a former power station with generators but well before my time. Nearby Highfield Street was a generating station and was also home for the Liverpool City Lighting Department before they moved to Kent Street off Duke Street, and Highfield Street was where our telephone section had their workshop and depot. Some of our offices are listed in the two screen shots below, but one not in that list was information that an office for the MANWEB Marketing Department who were housed on the third floor of Lloyds Bank Building in 11 & 13 Victoria Street Liverpool 2. It may well be that the Education Office was also in that building staffed by Mr. Ladner during the 1950's and 60's. There is a slight error/typo in 1960 in that it was 24 not 54 Hatton Garden for District Office. This extract in yellow is from Grace's Guide see link. 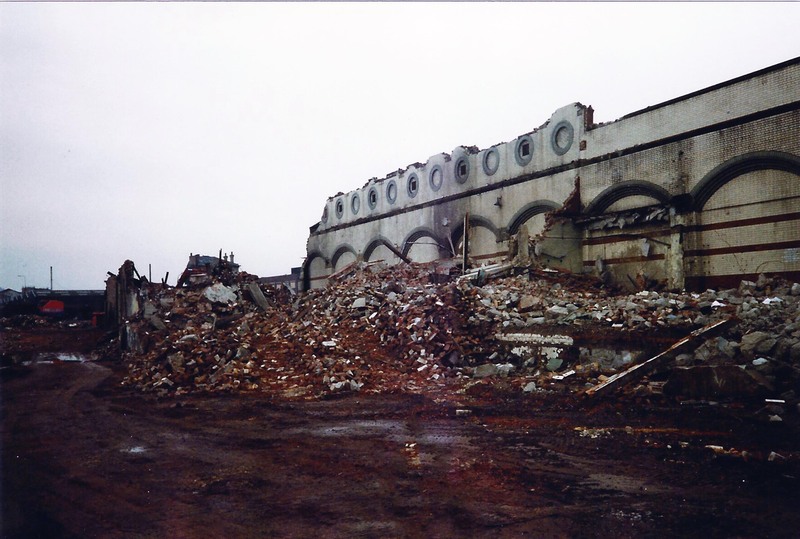 The Pumpfields Site was similar to Lister Drive site that survived as a generating station for many years longer. The Pumpfields Station is adjacent to the Leeds and Liverpool Canal, which affords facilities for the delivery of coal by barge direct from the collieries, and for the supply of condensing water, a considerable length of the canal being used as a cooling pond. The coal is delivered from the canal barges on to a canvas belt running parallel with, and close to, the canal bank. This belt delivers the coal into a hopper, which directs it on to an inclined belt that raises it from the ground-level into the elevated coal store, extending the whole length of the boiler-houses. 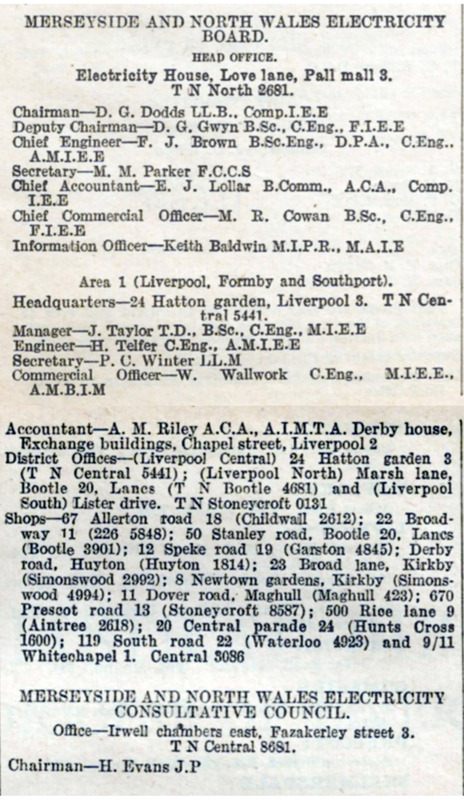 The Corporation of Liverpool purchased the Undertaking of the Liverpool Electric Supply Company in 1896 and of the Liverpool United Tramways and Omnibus Company in 1897. As the result of these purchases it was decided that electrical energy for all purposes should be supplied from joint stations, and that the plant should be of such a character as to be suitable both for lighting and for the tramways on a direct-current system of distribution at a pressure of from 460 to 500 volts. 1. Some of the particulars for this Notice were extracted from Mr. J. S Brown's Paper in the Post Office Electrical Engineers' Journal, April 1909, and are published by courtesy of the Board of Editors of that Journal. 2. Mr. Anthony G. Lyster, Engineer-in-Chief, made, at the Dinner on 27th July 1909, an interesting statement as to the history and progress of the Harbour and-Docks (see page 806). 3. * "Duker " is the local name of vessels using the Duke of Bridgewater Canal; they carry about 40 tons. Many thanks Julie for a most interesting photo ©. And now May 2014 it has all gone. Corrections or updates, please contact Ed Quinn on the following e-mail.